"We must now see our society as a dynamic field of interrelated forces. It is a set of mutually independent variables in a rapidly expanding infinite series. Any order introduced within the pattern of forces contributes to a state of dynamic equilibrium - an equilibrium which will change in character as time passes." 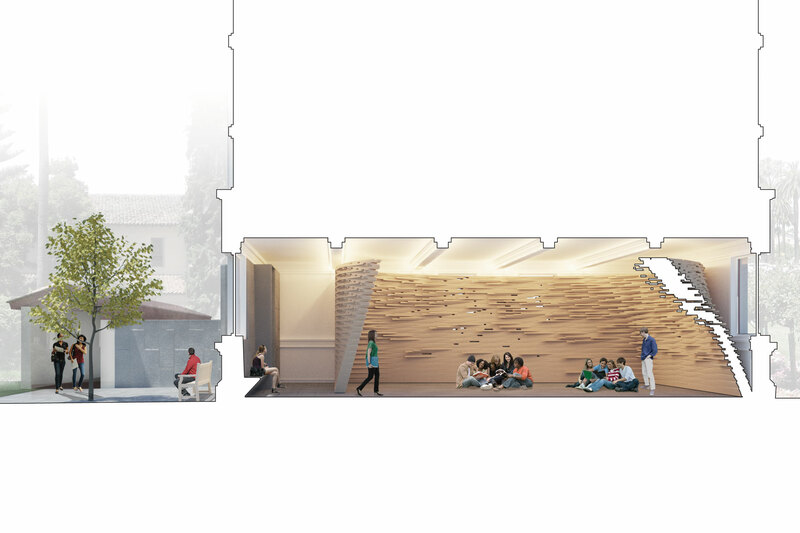 Utilizing a simple, mundane building material (2”x8” lumber), this design for a Multifaith Sanctuary transforms an existing conference room within an historic campus building into a spiritual destination where students and faculty from all faiths can gather for worship. The Multifaith Sanctuary is both programmatically and architecturally innovative. The challenge of Multifaith is the lack of precedence both formally and programmatically. In order to address all faiths, the design must convey universal spiritual attitudes while refraining from overt references to specific religions and traditions. Additionally, the space requires great flexibility to accommodate different users and activities. Situated within a prominent building on campus, our other challenge was to create a design that would allow the existing historic space to be minimally altered and restored to current conditions. In order to maximize the footprint of the existing space, the form of the sanctuary begins as a rectangle inscribing the boundary of the space at the floor. 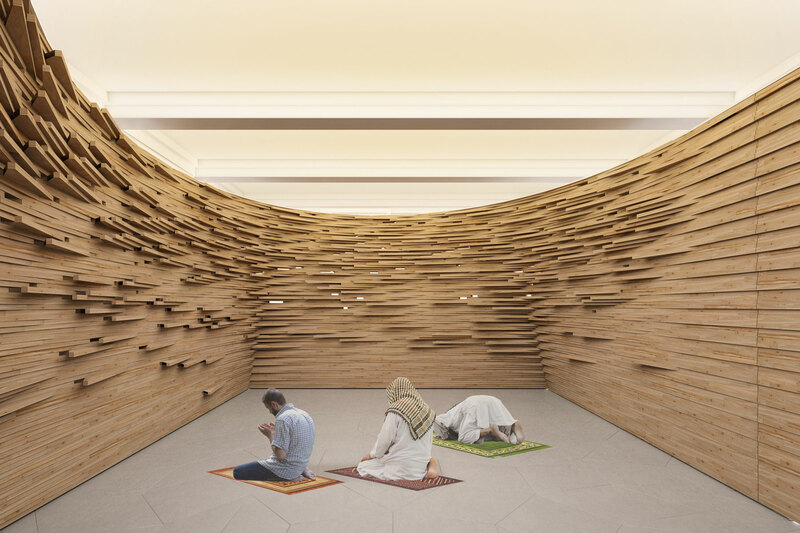 This rectangle slowly transitions to an ellipse as it forms the walls, shifting slightly off axis to subtly inform Muslim students of the direction of prayer. 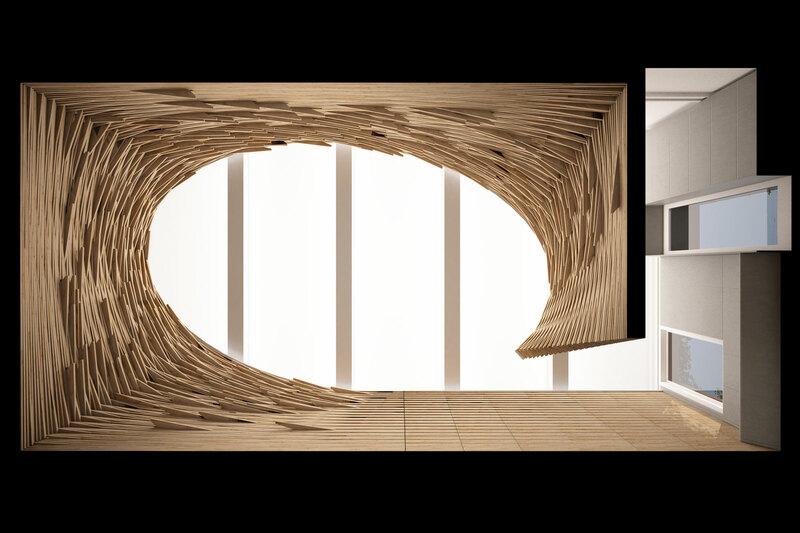 The form then opens itself up to reach into the vestibule space. 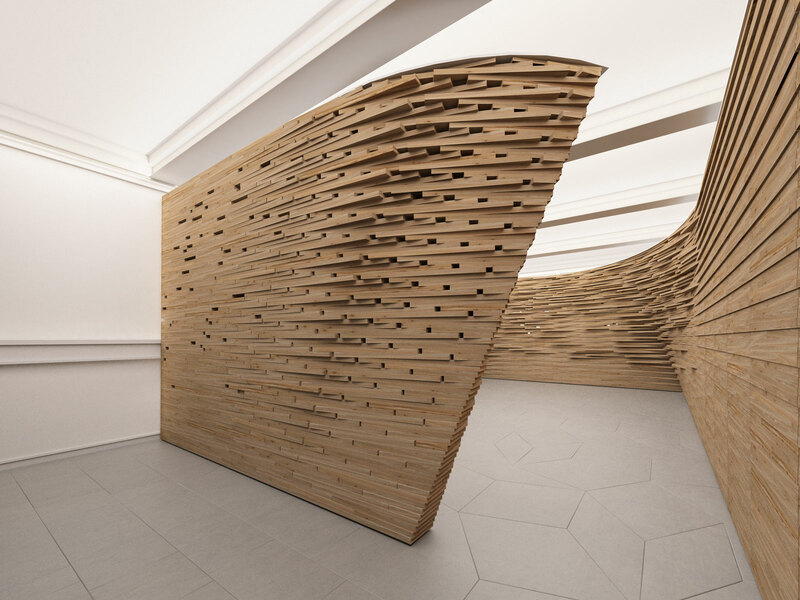 While it appears complex, the form is created using a logic of ruled surfaces. Project completed by Min Day – Kristen Smith involved as Project Designer.